Welcome to the mobile app of the Midland Football League. The app gives you information on the league, the clubs, the tables and results of the 2016/2017 season as well as the rules, regulations and history of the league. 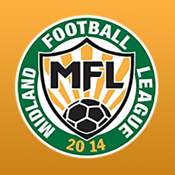 The Midland Football League was founded in 2014, following the merger of the Midland Alliance & the Midland Combination.